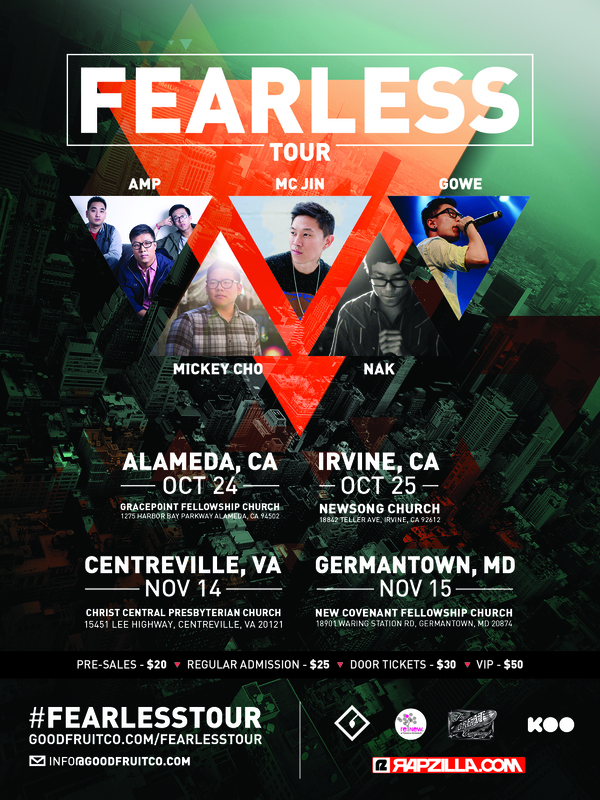 Concert with AMP, GOWE, Mickey Cho, NAK, and MC Jin! A percentage of the proceeds will go towards supporting our continued ministry work. Promotional Video & Talent Show Competition w/ $500 Cash Prize Package! Hillary Jane is a musician from Texas who desires to empower confidence in individuals’ faith, growth, and love for Christ. Mickey is a hip-hop artist based in the Bay Area. He also pastors at Living Hope Christian Center in Emeryville, CA, overseeing worship, media, and missions. GOWE, Gordon Tsai, was born in Seoul, South Korea and was raised in Seattle, Washington. To date, he has released one album and an EP. Jin Au-Yeung, born and raised in Miami, Florida is an American born rapper, songwriter and actor of Chinese descent who now lives in New York. AMP is a collective that seeks to engage their culture through hip-hop with lyrical influences that are rooted in deep Christian tradition.